"Julia worked with my husband and I for over eight months as we became educated in the current housing market and refined our needs and wants. She met with us on odd hours and days to meet our schedules and kept us informed of competing offers, realtors, and changes in the market. Her professionalism and flexibility are unequivocal when compared to our experience with previous realtors." 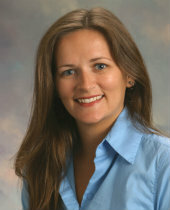 "Julia is one of the most knowledgeable, honest and hard working agents I've met in a long time. She makes looking for homes a pleasurable experience!! I highly recommend her!!!!" "Julia was focused on finding the home that best suits us as well as keeping up in our price range. She has been in the business so many years and really knows the market inside and out. The most important thing was that she was flexible with showings and getting paperwork done around our demanding work schedule. We really appreciate her "out of the way" attitude! I definitely would highly recommend her for anyone looking to buy or sell a home. There is a huge difference from one agent to the next, its best to have a strong agent on your side!" “Julia was professional, and she showed homes that was a fit for my real estate needs, wants, and desires. I was extremely satisfied with Julia, and give her very high marks”.